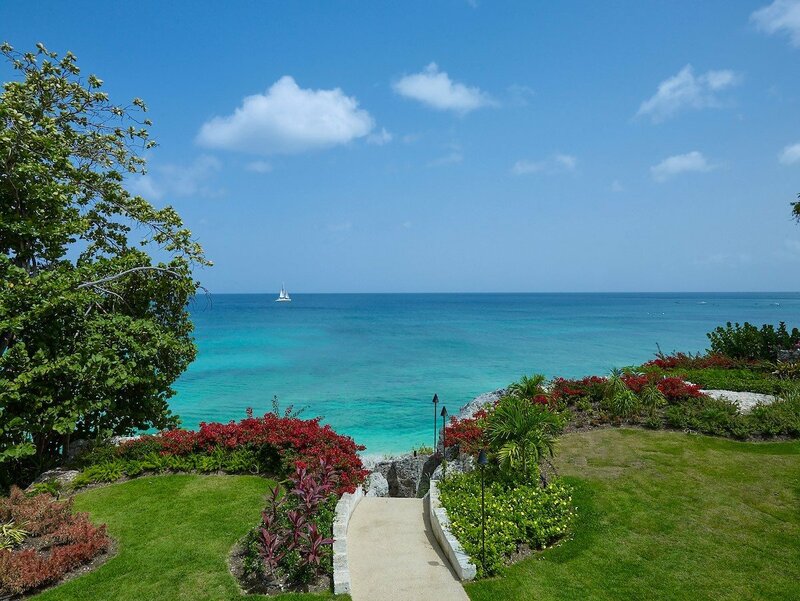 Are you seeking an unforgettable place to enjoy a visit to the Platinum Coast area of Barbados? 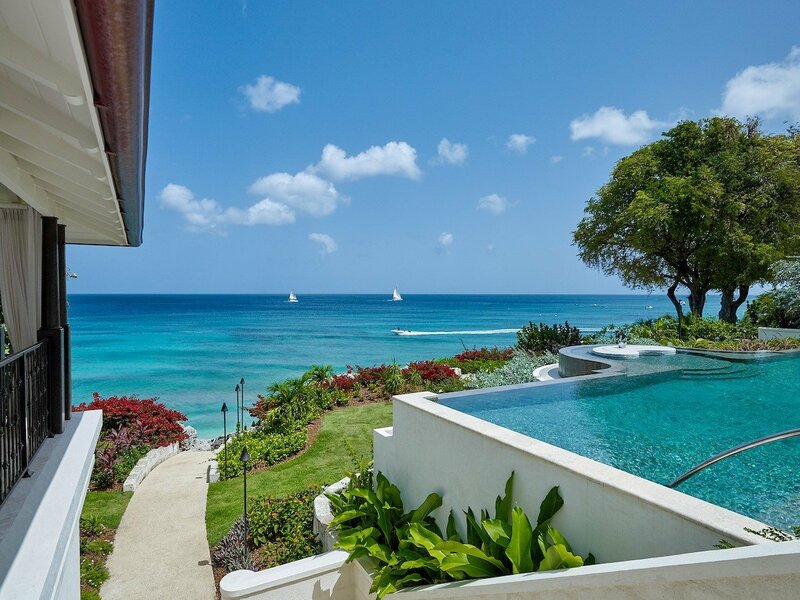 If so, Seaclusion is a must. 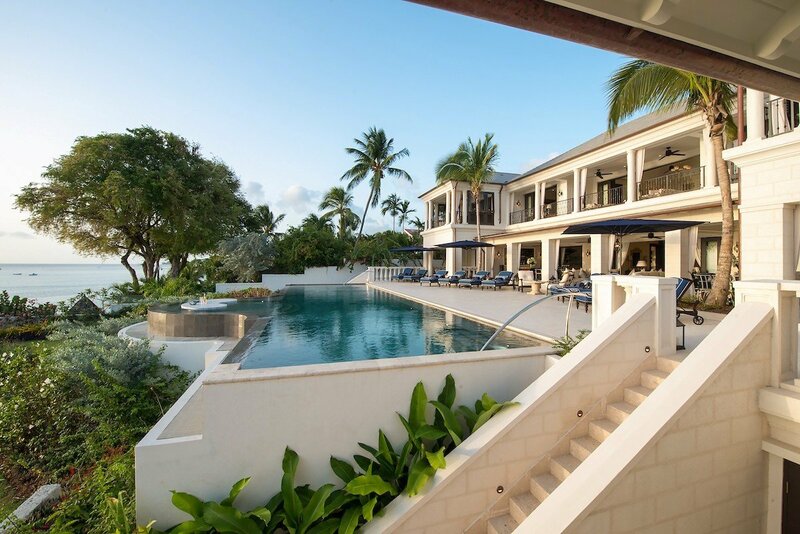 This expansive, two-story gem provides beautiful settings, premiere services, and a location that is impossible to beat. 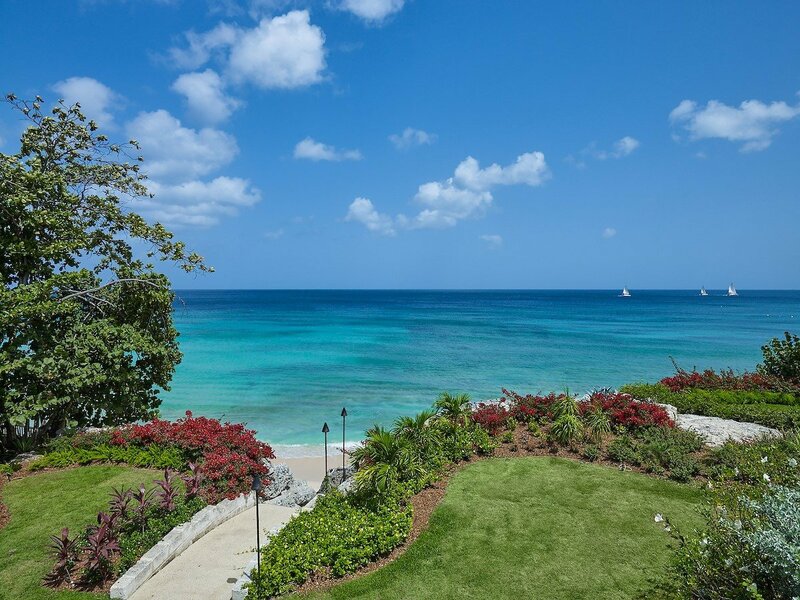 Set in the St. James area, it is just a short stroll to the beaches below. 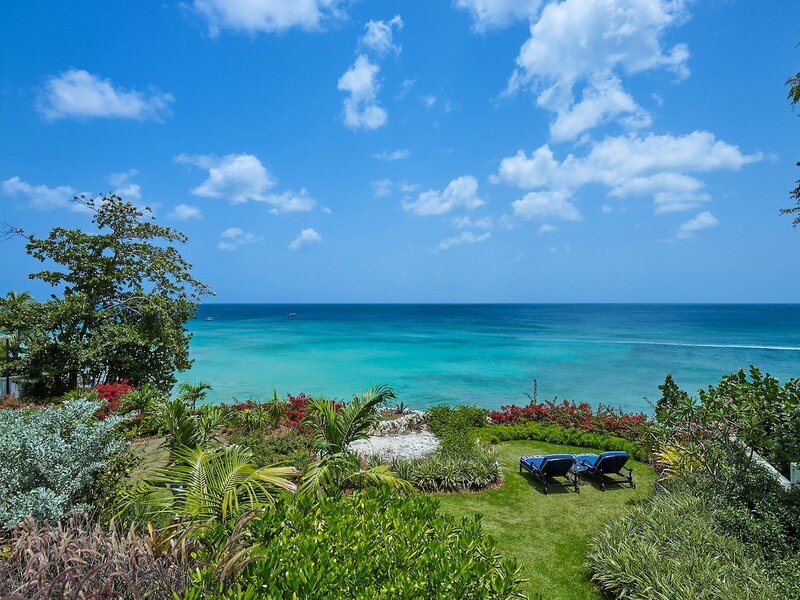 Sitting on more than an acre of stunningly landscaped gardens and grounds it is the epitome of a tropical paradise. 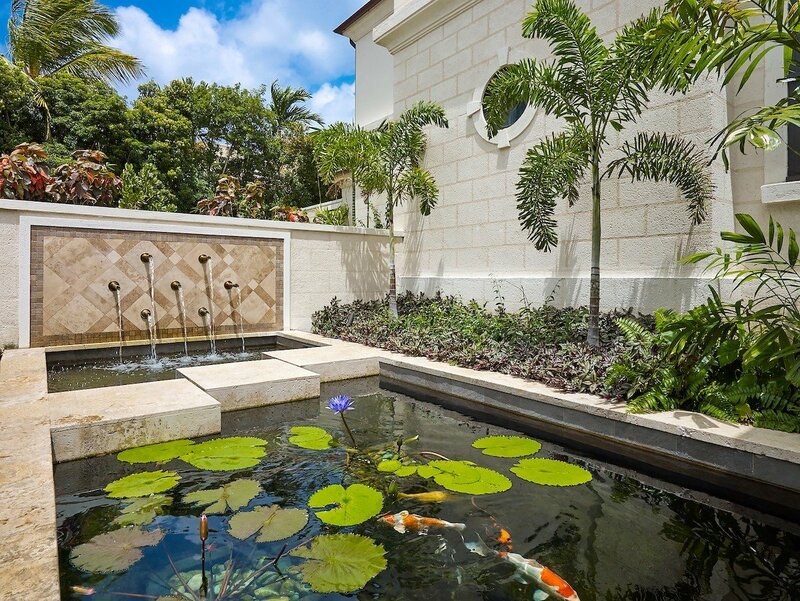 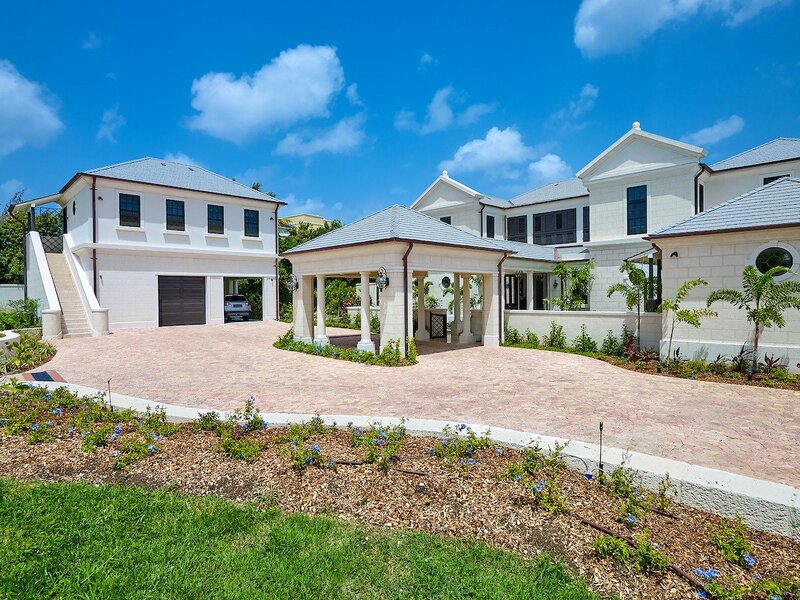 Wandering the exterior of the beautiful coral stone home, you’ll find fountains, lily gardens, and any number of places to soak up the sun, scenery or simply relax. 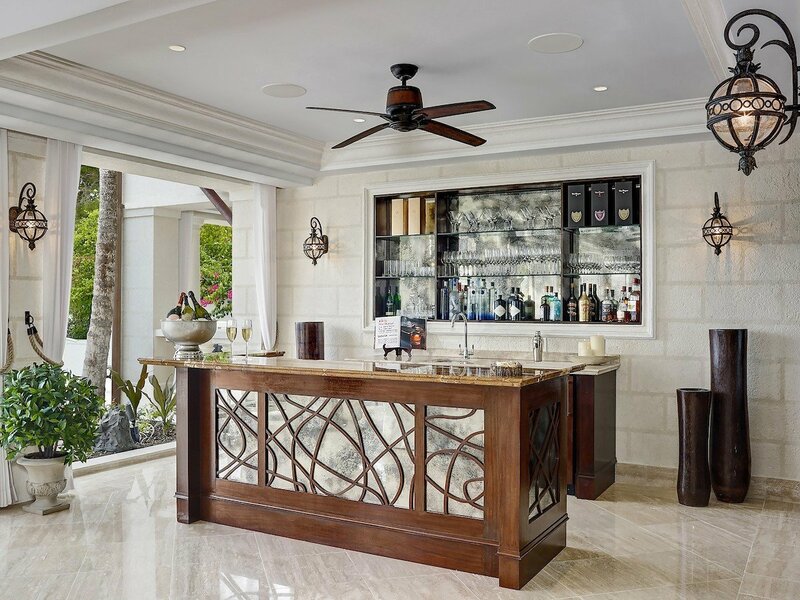 Indoors, the luxury continues and begins with the comprehensive household staff that includes the chef, butler, housekeeping team, laundress and more. 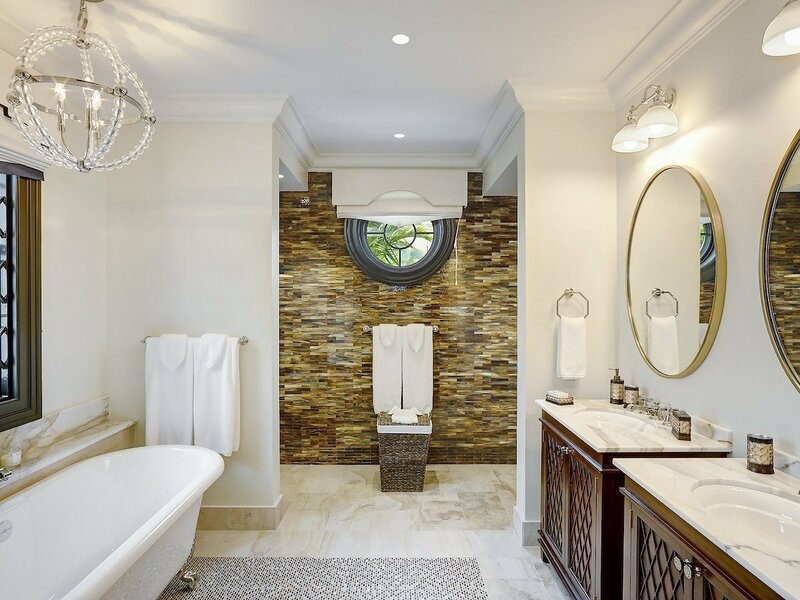 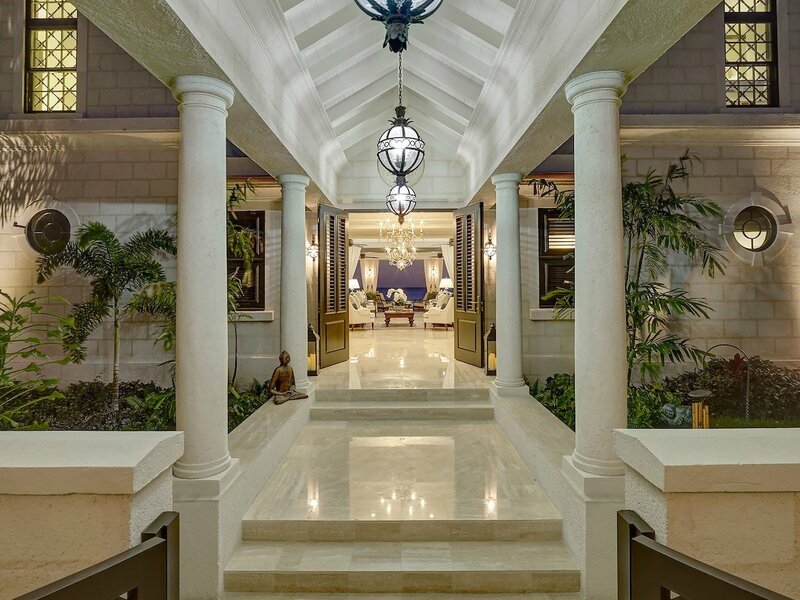 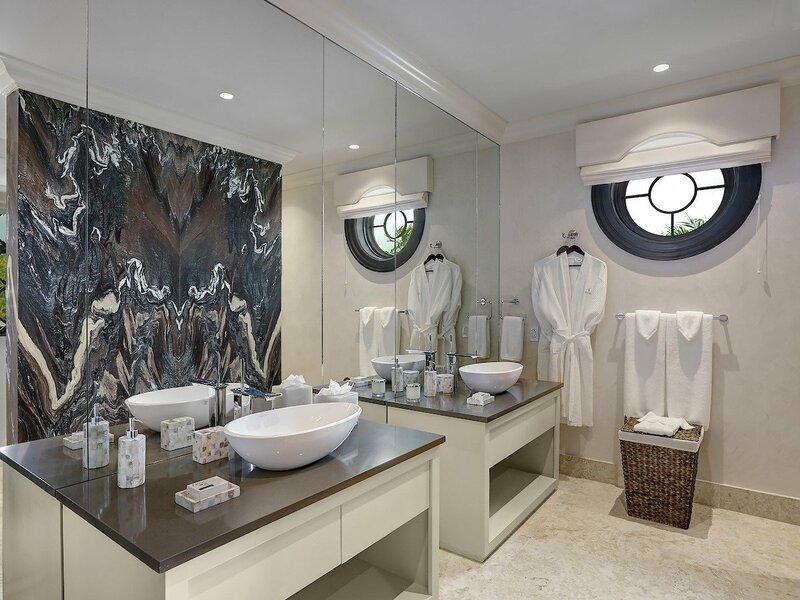 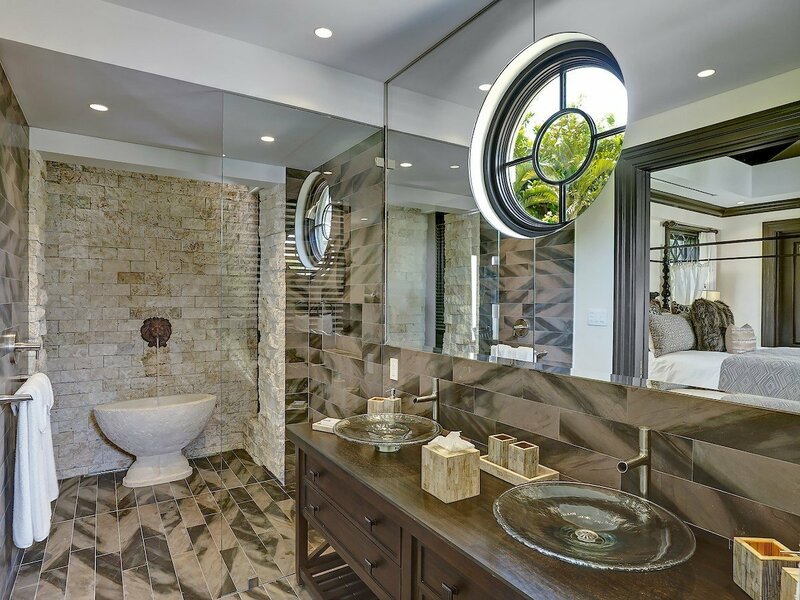 The décor and design inside are a match to the luxurious beauty outdoors, and whether admiring the coral stone walls, the grand sweep of the marble stairs in the foyer or the gracious dimensions of the different shared living spaces, you are sure to appreciate the beauty. 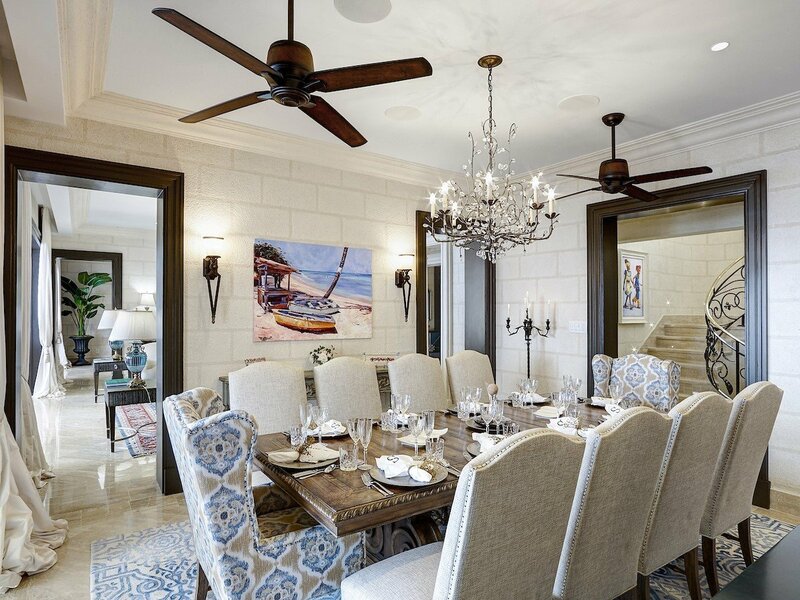 A large formal dining room leads into a grand lounge that opens to the enormous covered terrace. 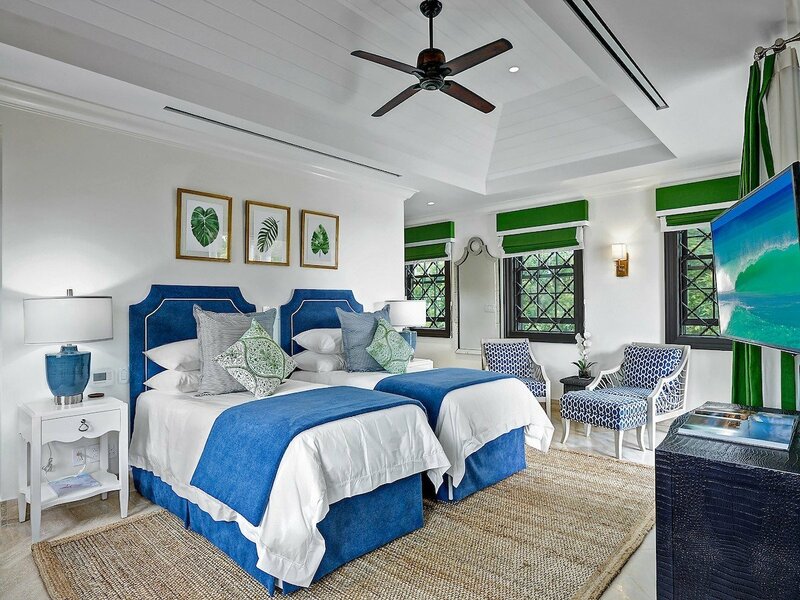 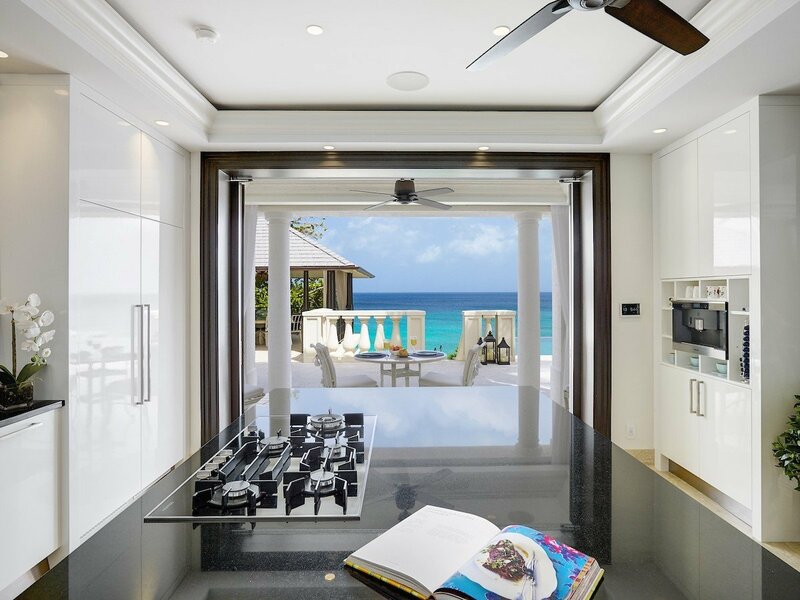 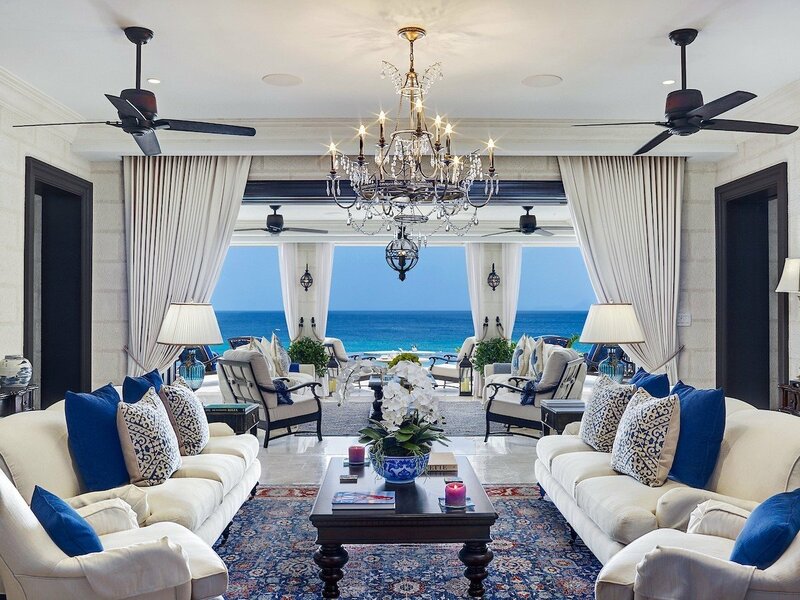 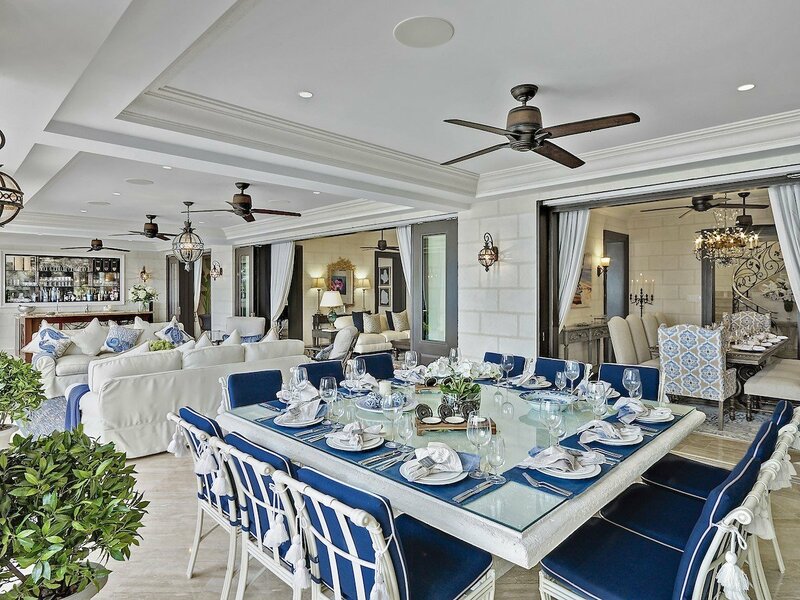 Done in schemes of rich China blue and white, the interiors reflect the gorgeous colors seen in the views from any room, including the amazing gourmet kitchen. 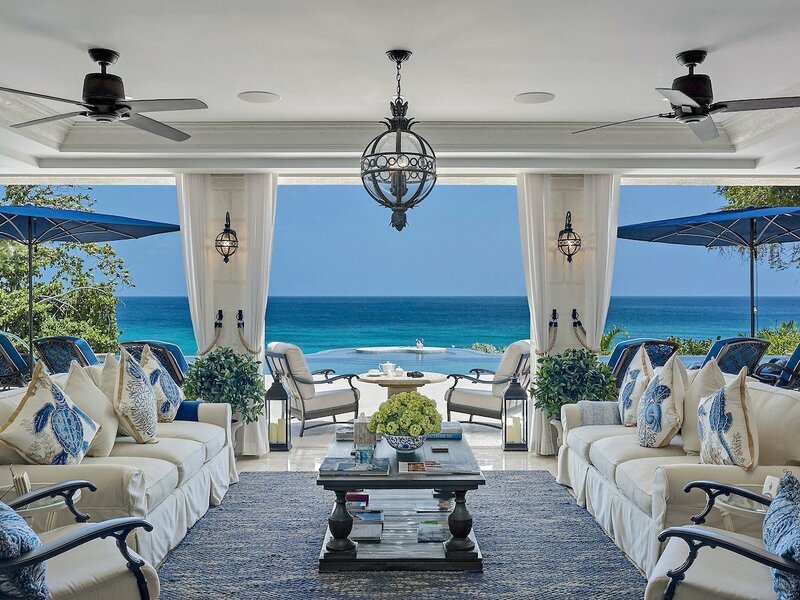 The exterior living spaces merge seamlessly with interiors and you will love the way that the lounge blends into the al fresco lounge and then to the sunny terrace. 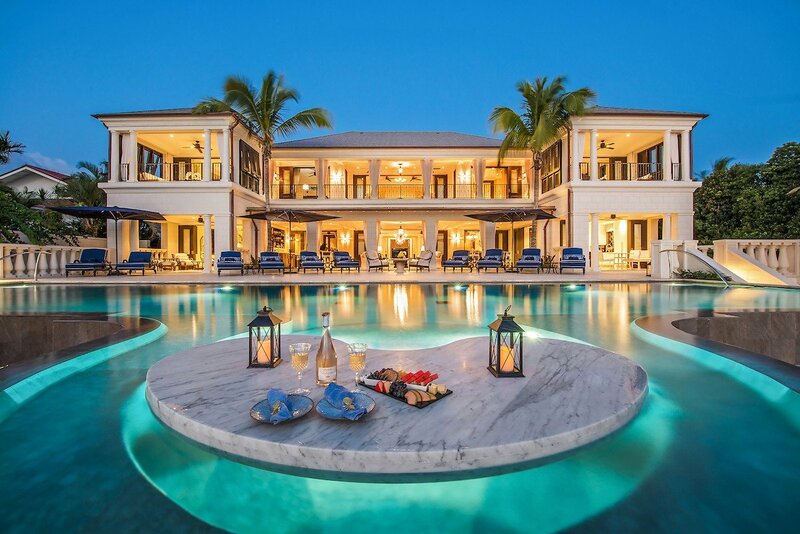 Easily one of the most impressive spaces on the grounds, the terrace features the immense, infinity edge pool with its unique swim up dining area. 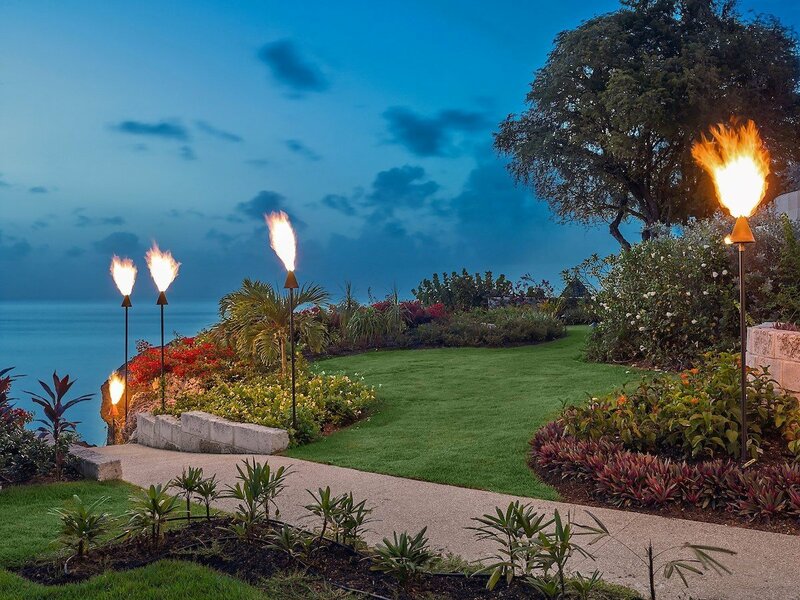 There are several outdoor lounges and dining niches, and the stairs that take you down to the sea. 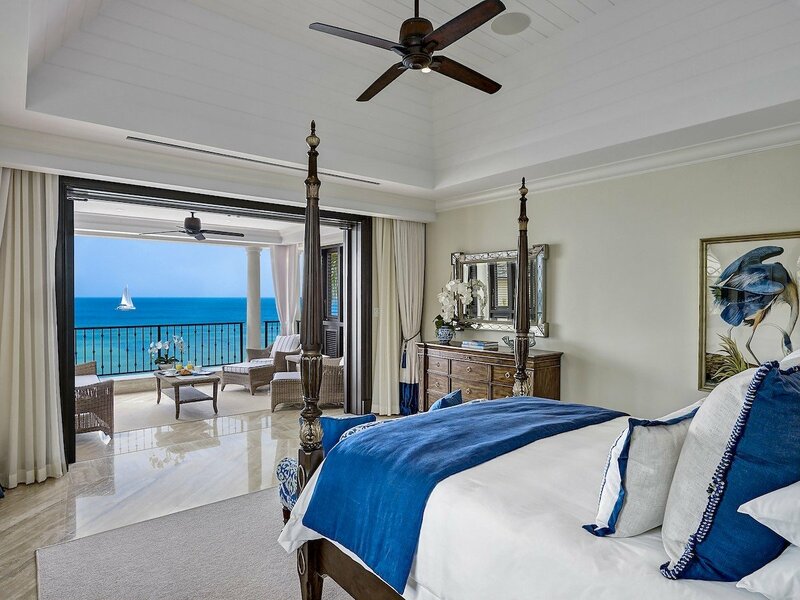 The bedrooms must also be considered a key part of the experience, and they feature three upper floor master suites, each which a king bed, private upper balcony access, and large ensuite bathrooms. 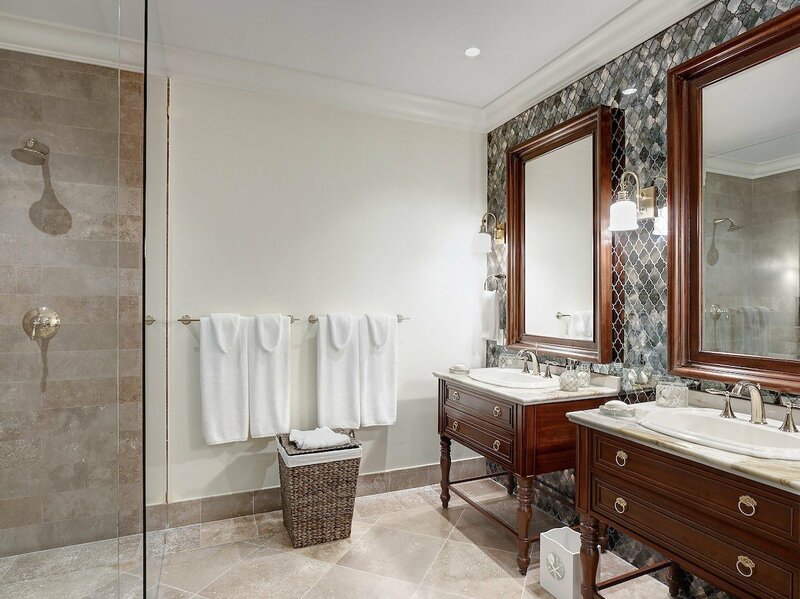 The two lower level suites are also king suites with private baths and amazing views of gardens and grounds, and the final suite is in a separate building and features two twin beds and a large bath. 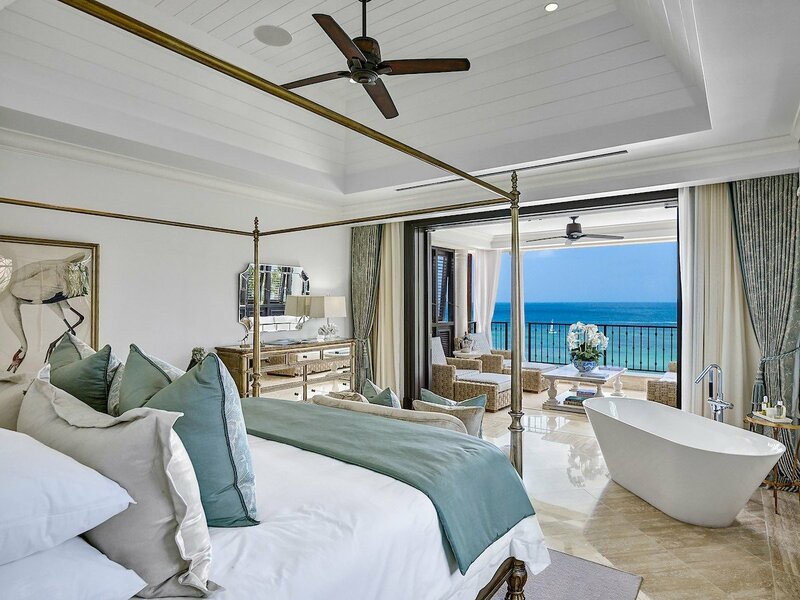 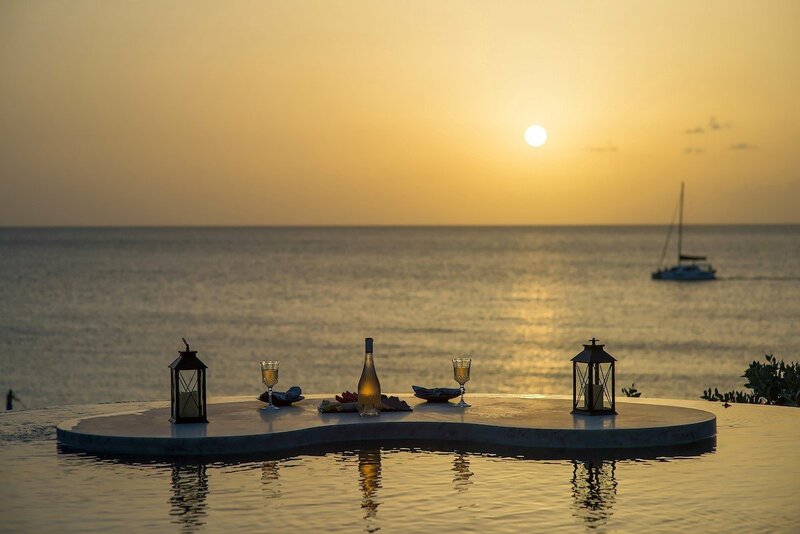 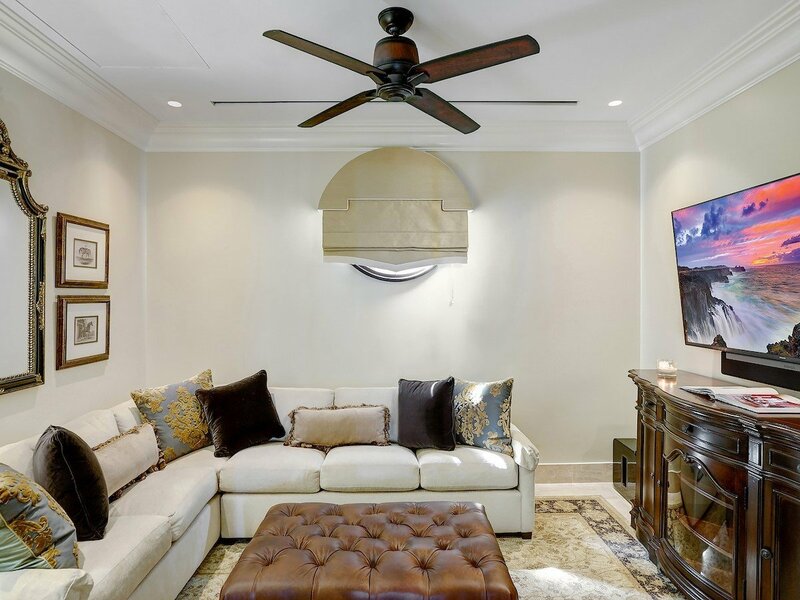 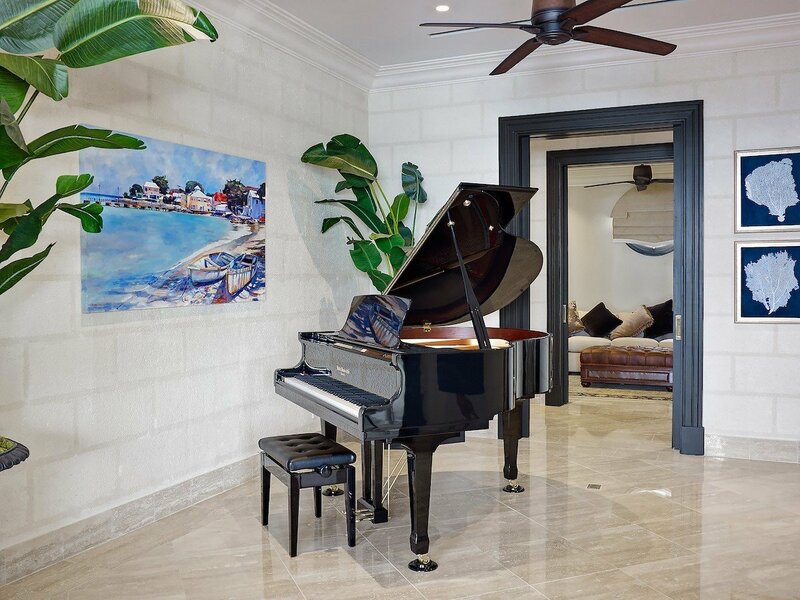 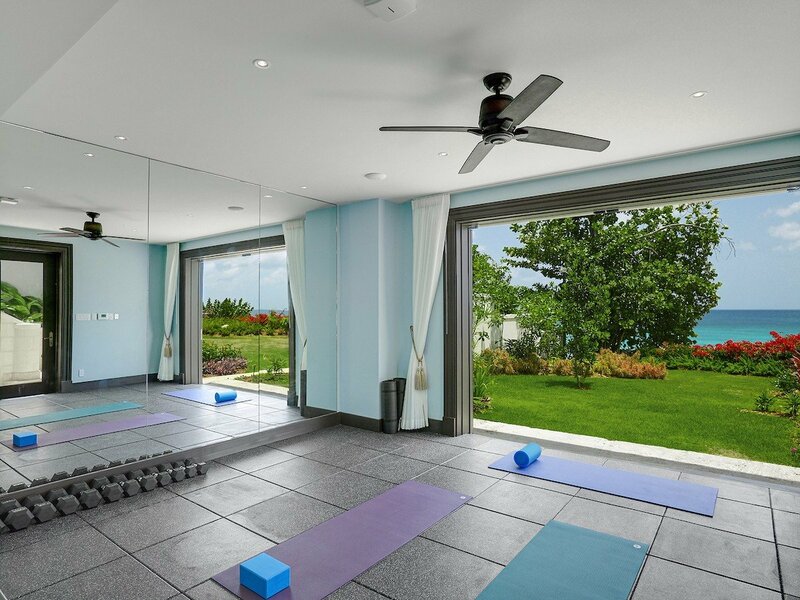 Whether you are hosting an event for your family or enjoying a getaway with friends, it may be difficult to match the luxury, beauty, comfort and overall appeal that you find at the unforgettable villa Seaclusion. 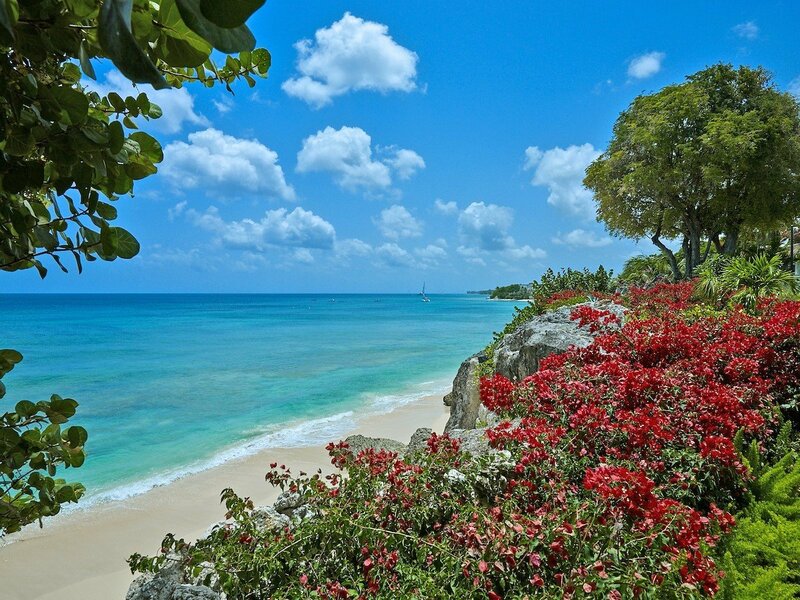 Sitting along the northern coast of Barbados, it is a rare and wonderful find.